The T272 is a Cable Fault Locator designed to detect high-resistance faults on telecom and LV networks that a standard TDR cannot find. 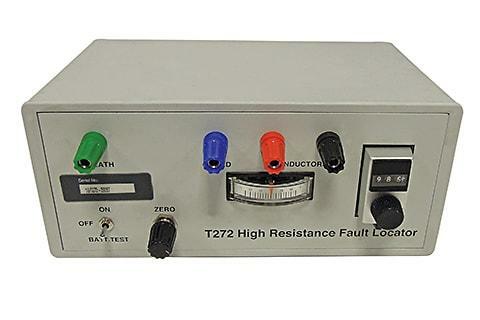 The T272 is a product designed for detecting high resistance faults on telecom and LV networks that a standard TDR cannot find. Its ease of use belies its sensitivity and faultfinding capabilities. The product complements the TDR product range to provide the field engineer with a complete set of solutions for service related problems.